I’ve really been enjoying my slow sewing in the evenings. English paper piecing is the perfect project for it! And as a result I now have a little collection of English paper pieced hexie flowers and more. 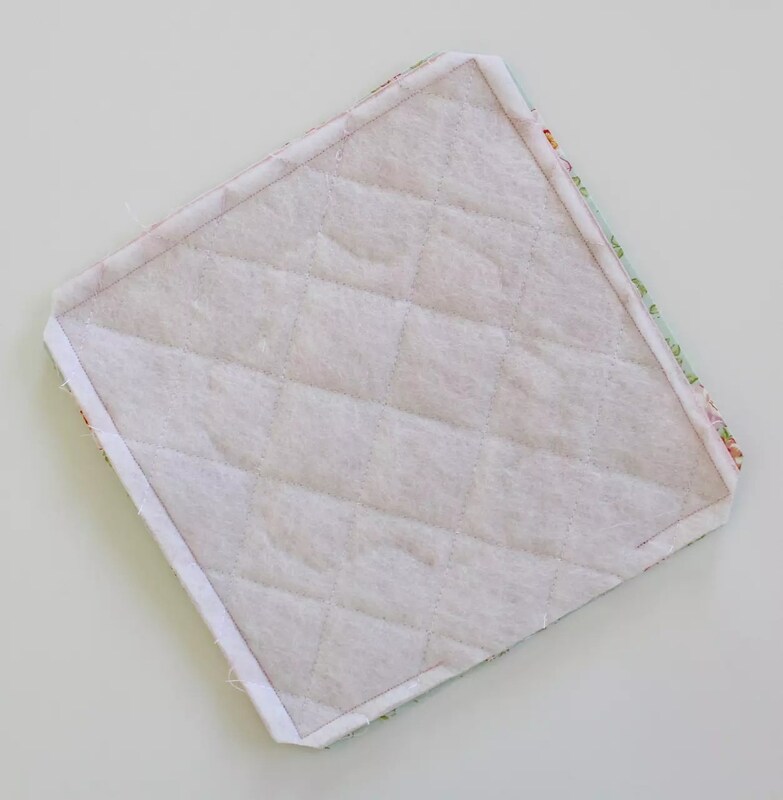 Not content to let them go to waste, I have used them on a number of pretty projects, including this quick and easy heat pack. It’s a lovely way to keep warm in the cooler weather! This 7″ heat pack is a nice small size. However, you can adjust the sizing to suit your needs. You can make tiny heat packs for hand warmers, or a long thin heat pack to place around your neck. Your first task will be to sew a hexie flower for the front. These are really straightforward to make and especially quick if you use the glue basting method. Not sure what I am talking about? 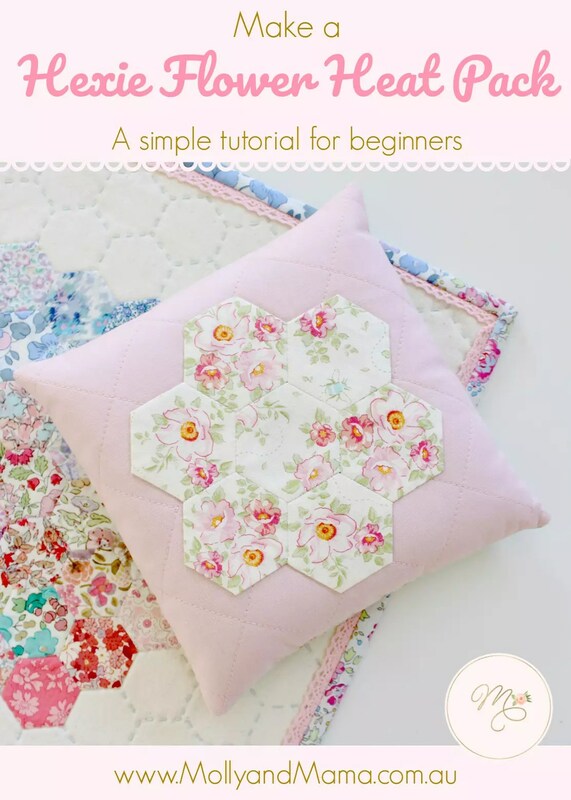 Visit this tutorial to find out all about Hexies and English Paper Piecing where I explain everything with easy to follow instructions. 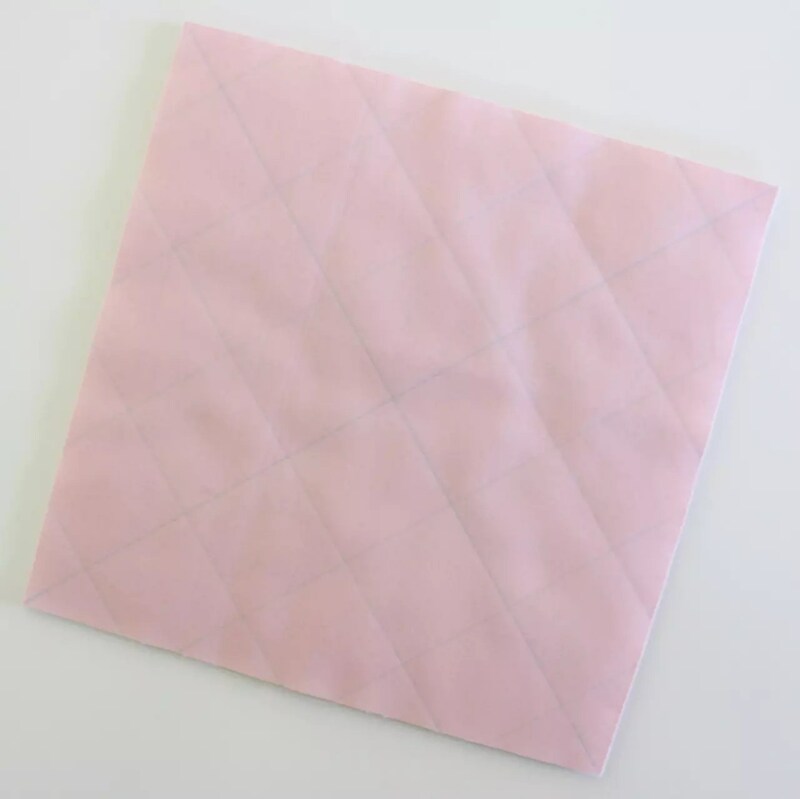 Using an erasable pen and ruler, mark a diagonal line from one corner of the fabric square to the other. Do this also for the opposite corners. Create a grid pattern by continuing to mark diagonals lines parallel to the centre lines, using 1.5″ intervals. 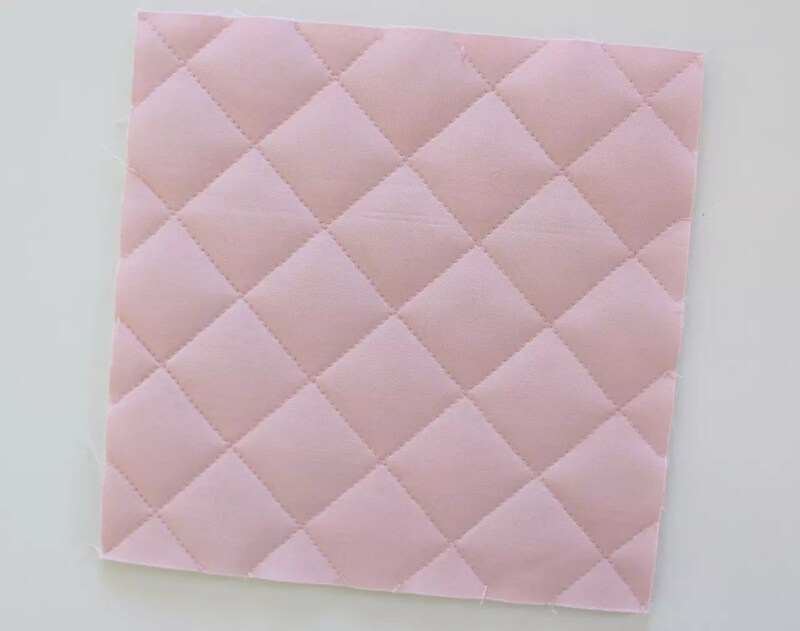 Using thread to match the plain fabric, quilt along the marked lines by hand or on your sewing machine. Trim away excess threads. Remove the marked lines and then press the panel. Trace around the hexagon flower on the paper side of the fusible appliqué web. 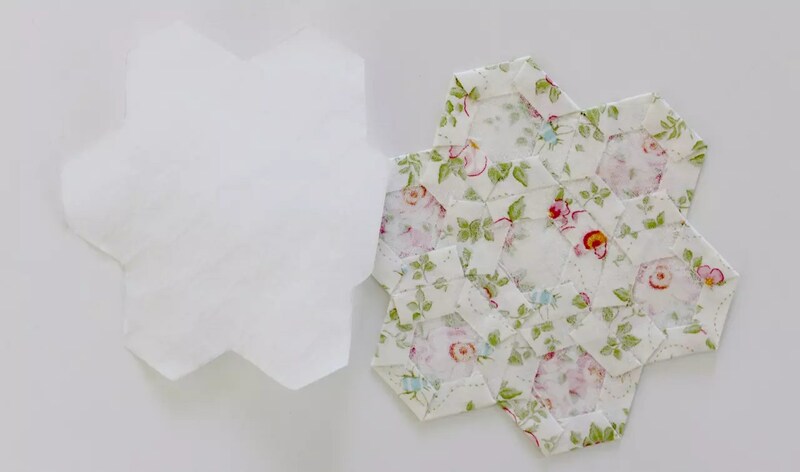 Cut out the hexie flower shape 1/4″ (5mm) in from the drawn edge, so that the flower shape is slightly smaller than your hexagon flower. Follow the manufacturer’s instructions to secure the appliqué web to the wrong side of the appliqué flower. 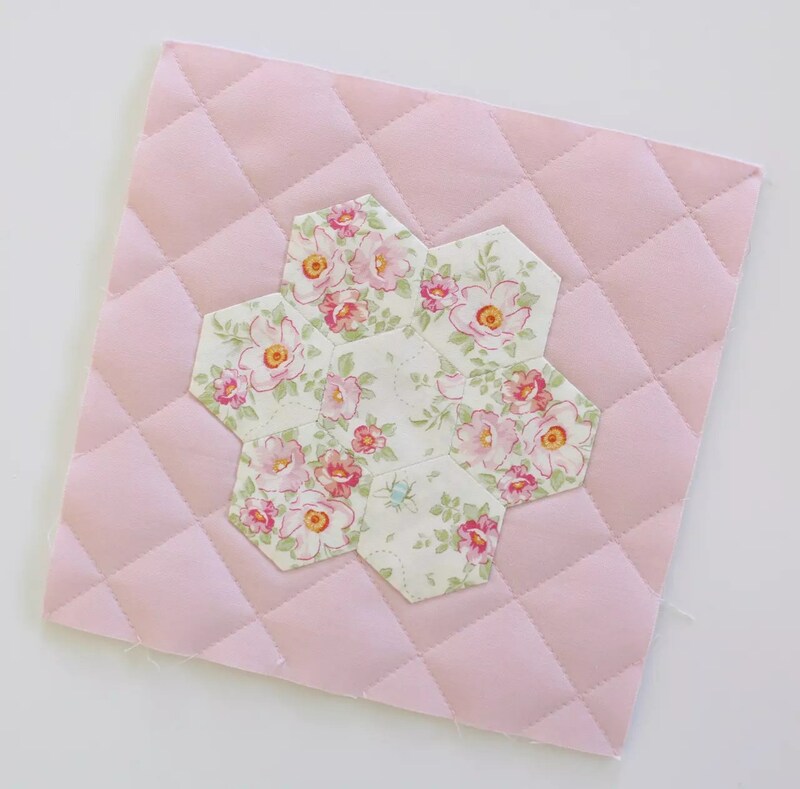 Peel off the backing paper and centre the flower in the middle of the quilted fabric square. Secure in place with a warm iron. Stitch the edges of the hexie flower in place using a blind stitch. 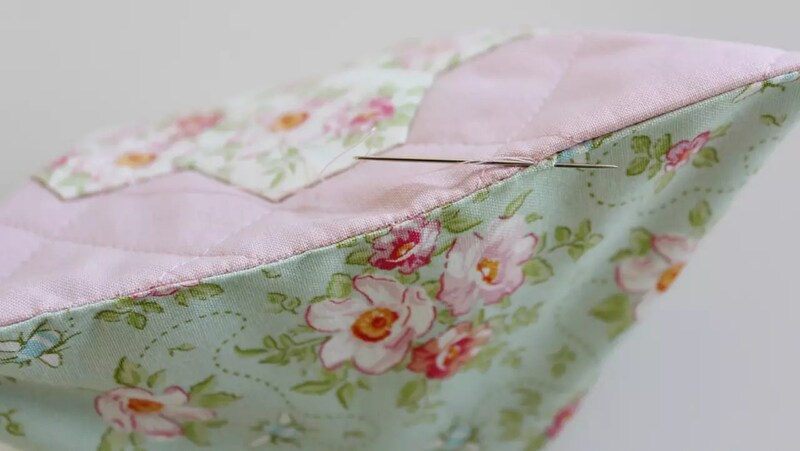 Place the quilted fabric top and the floral fabric square together with right sides facing and pin together. Sew the fabric together using a 3/8″ or 1cm seam allowance. Leave a 4″ gap on one side seam for turning. Clip the corners to help remove bulk (see above), turn the fabric right side out and then press. 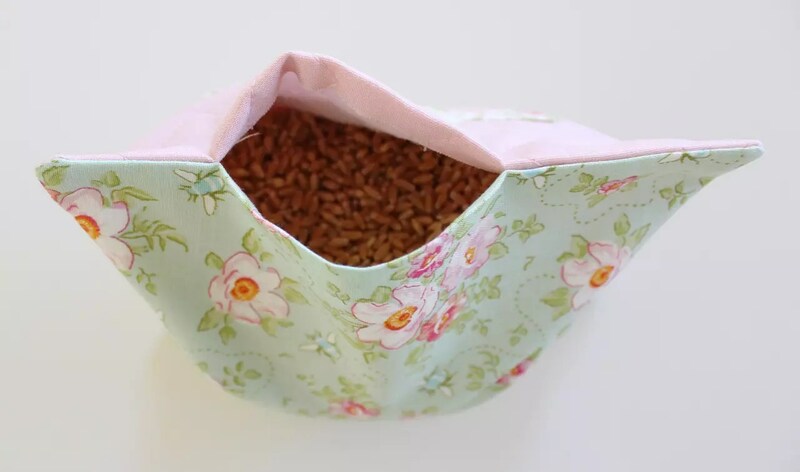 Fill the heat pack with wheat, rice or lupins (or your chosen material) until firmly stuffed. Stitch the gap closed using a fine whip stitch or an invisible ladder stitch. Ensure your stitches are closely spaced to avoid losing any filling from any gaps between stitches. Your heat pack is now ready for use! Don’t add extra embellishments to the heat pack as they may become hazardous when heated in the microwave. Always follow the suppliers’ instructions (that came with the filling) for heating your heat pack in the microwave. Heat for short bursts only. Never leave the heat pack unattended in the microwave. Do not overheat. Be careful when applying the heat pack, in case it is too warm. This item is suitable for adults only. 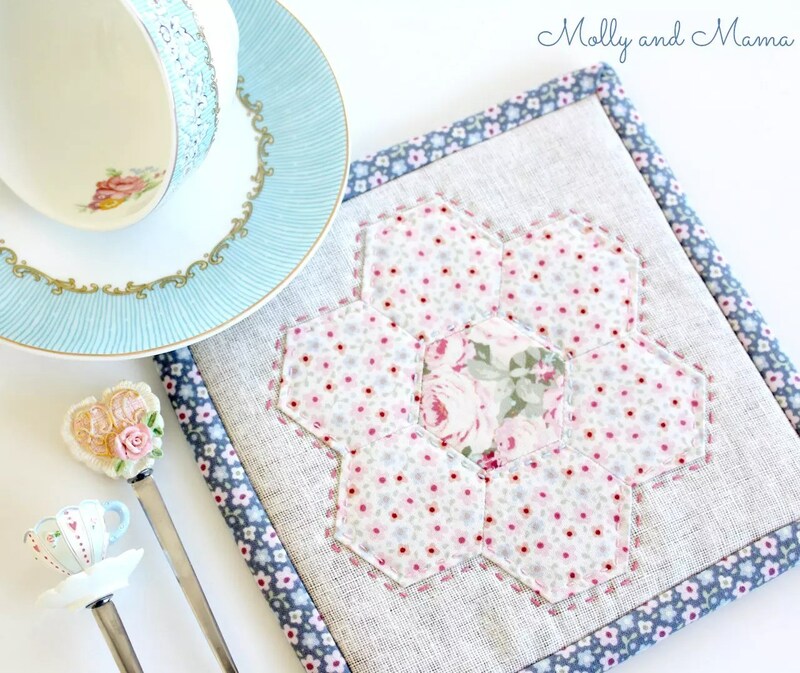 If you enjoyed this English paper pieced project, there’s some other tutorials and patterns you might like too. 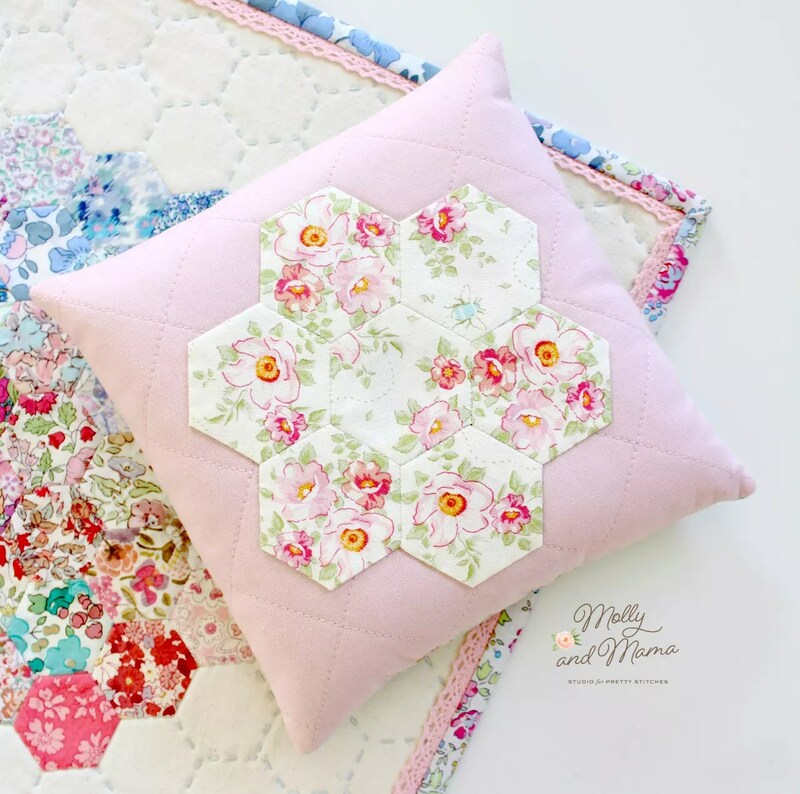 The Hettie Hexie Mini is a sweet and simple mini quilt pattern that is the perfect portable project for sewing while you’re on the go. This is the kind of stitching I like to do when I’m away on a family holiday. 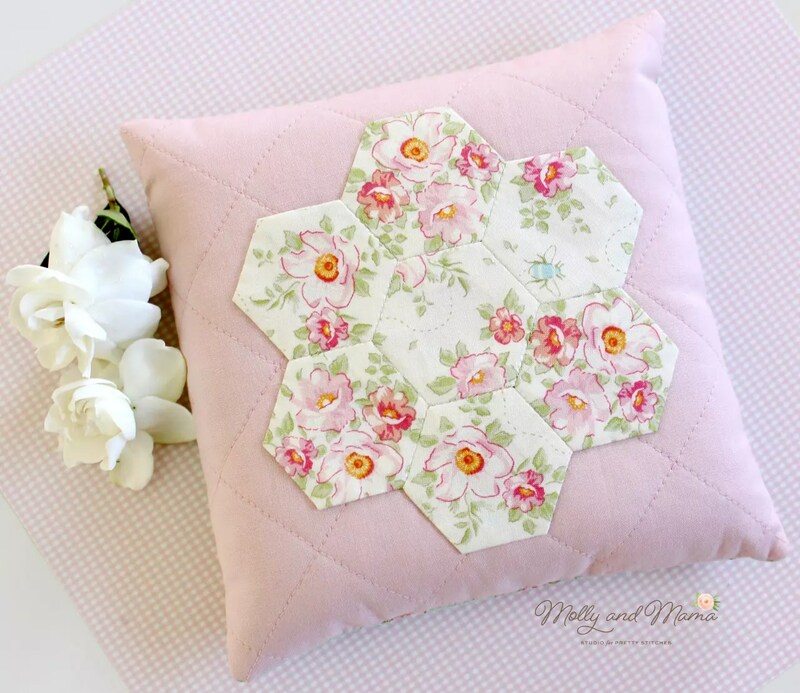 The PDF pattern includes instructions for everything including how to sew hexies, appliqué them to the quilt, hand quilt the back ground with an echo design and then how to construct and bind a mini quilt. Many of these skills and techniques are transferable to other projects too. 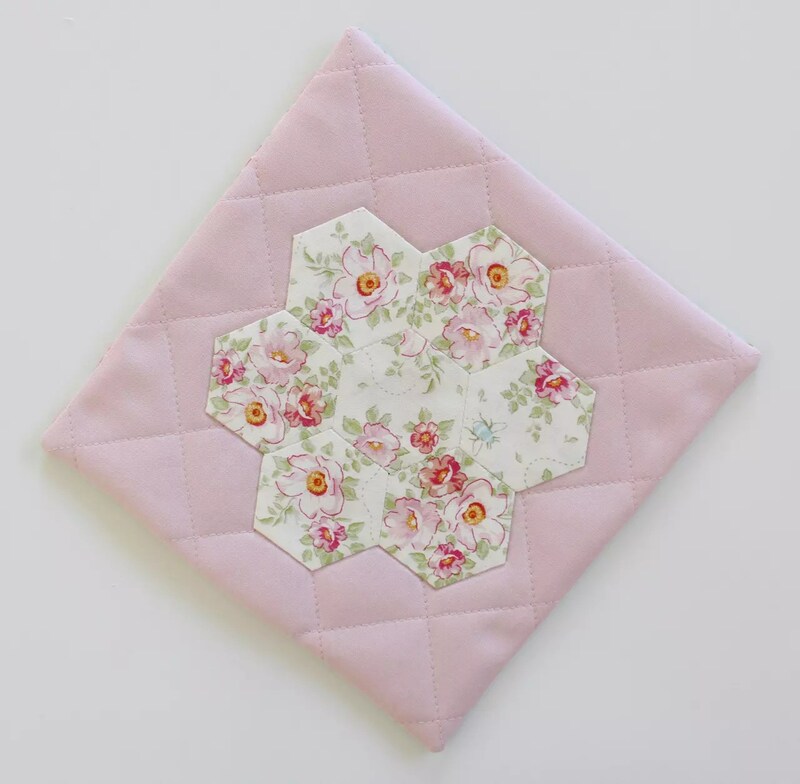 So if you’ve made the Hettie Hexie Mini you can confidently try a larger quilt or English paper pieced project. You can pick up the PDF pattern in my store. 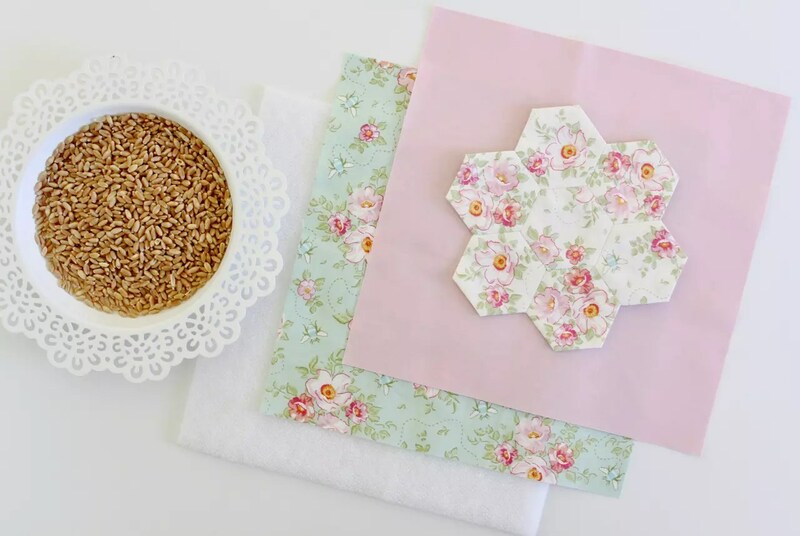 For a smaller project you might like the Hexagon Mug Rug tutorial. 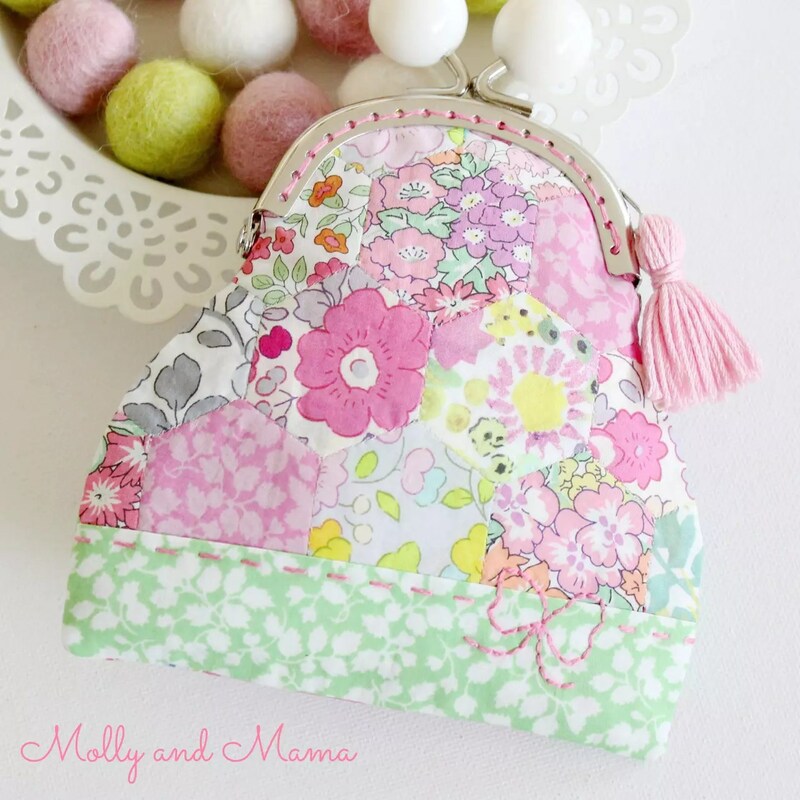 And if you’re feeling a little more adventurous, the Pretty Penny Coin Purse is a free pattern download. 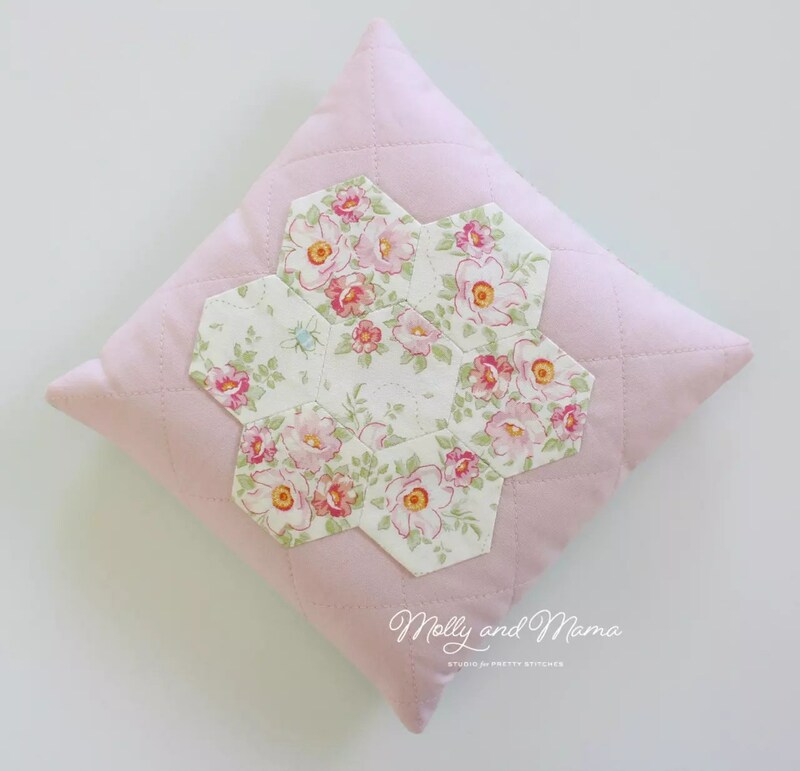 Enjoy your hexie sewing and be sure to share your makes on Facebook or Instagram. I love this Lauren, it is SO pretty! Thank you so much for this lovely pattern. I finally found an opportunity to try my luck at making hexies.